Mentorship experience is best realized in a productive collaboration, and student scholarship is a prime instance of a student-mentor relationship. 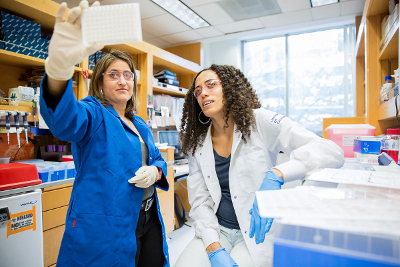 Explore projects and research mentors. 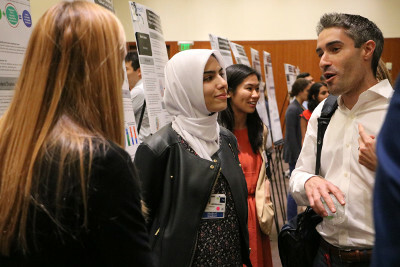 “Promoting Research Opportunities Fully – Prospective Academics Transforming Health” is a program of the Inquiry Curriculum and the UCSF School of Medicine, led by Alicia Fernandez, MD. Learn about our annual Inquiry Symposium and Pathways to Discovery Awards. Browse examples of the posters. 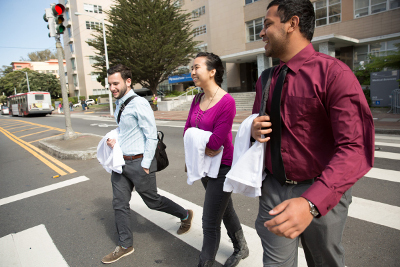 How can we train physicians of the 21st century to address healthcare challenges? Learn more about the Inquiry Habit of Mind. Inquiry is the lifelong process of challenging current concepts and creating new knowledge. Each step of the Inquiry Curriculum advances the learner, first to a sophisticated consumer of biomedical science, and then to a producer of new knowledge. 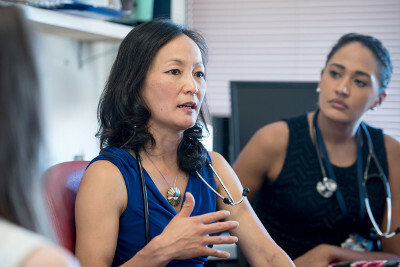 Unlike traditional medical school content, Inquiry Curriculum teaches a “habit of mind.” Because of this, it takes place throughout the Bridges Curriculum and is composed of three distinct and sequential steps.